Cakes for Special Occasions is based in the heart of Derbyshire. We specialise in Celebration, Weddings, Cupcakes and Stacked Cheese Cakes. 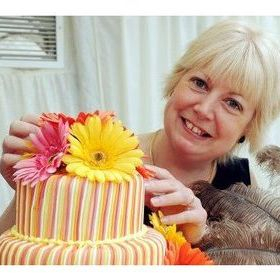 Cakes for Special Occasions have been supplying quality cakes for over 25 years now to both local and national clients. We will work with you to design a beautiful bespoke cake for your special occasion. We also cater for nut allergies, gluten free & Diabetic dietary's.